Special Counsel Robert Mueller's indictment of 13 Russian nationals earlier this month can only mean one thing according to Rep. Adam Schiff (D-CA): there's more to come. Speaking with MSNBC's Chris Hayes, Schiff - the ranking minority leader on the House Intelligence Committee, suggested that because Mueller was so extraordinarily detailed in his indictment of the 13 Russians, the Special Counsel's office must be saving all the evidence of collusion pertaining to the DNC hack for the next indictment. Schiff points to the fact that there was "ample evidence" of Russia hacking the DNC, which - because Mueller didn't include any of it in the "troll farm" indictment, obviously means things are just heating up. "And the key question there is: Is that going to involve Russian figures alone or are there going to be U.S. persons implicated as well?" posits Schiff. 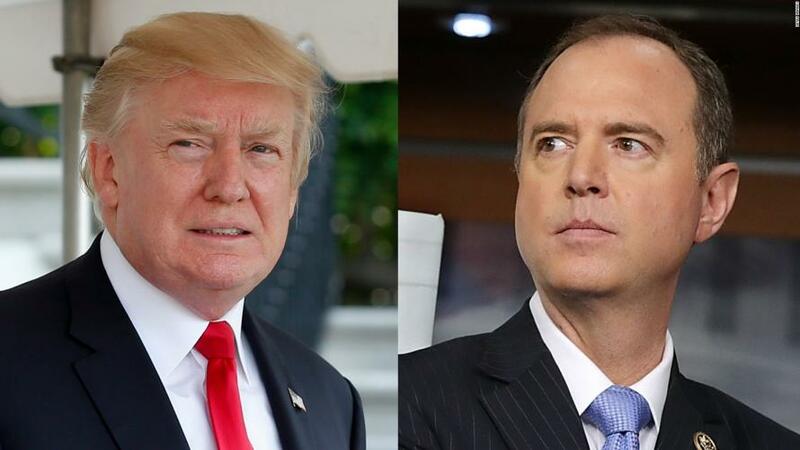 Earlier this month, Schiff told reporters at a newsmaker breakfast hosted by the Christian Science Monitor "There is already, in my view, ample evidence in the public domain on the issue of collusion if you're willing to see it." Schiff also said there is evidence — heard by the committee behind closed doors —that he can't talk about publicly because it remains classified. Of course, the evidence of all that Russian hacking was compiled by discredited cybersecurity firm, Crowdstrike, which was the only group allowed to analyze the hacked servers - while the FBI was told to buzz off. Perhaps Mueller's team doesn't feel confident using the independent report. One would think, however, that perhaps just one of the "17 intelligence agencies" which Hillary Clinton claims verified the hack could provide Mueller's team with a little assist - or not, considering that it turns out only three agencies were involved in that assessment. Also, you can't transfer files at 23 MB/s over the internet - at least not in the United States. That's more of an "insider with a memory stick" kinda thing. Perhaps Mueller doesn't want to open that can of worms? Shiff also failed to mention Mueller's takedown of Paul Manafort and his right hand man Rick Gates on money laundering and fraud charges unrelated to the Trump campaign. Gates flipped on Manafort last week, changing his plea from not guilty to guilty on two charges; lying to Mueller's team, and "impeding, impairing, obstructing and defeating" the DOJ and Treasury. Thus, it seems that Mueller having gone from indicting Trump's campaign manager, to indicting 13 Russian internet trolls "with a shaky grasp of English and a rudimentary understanding of U.S. politics shitposting on Facebook," doesn't bode well for Schiff's prediction.